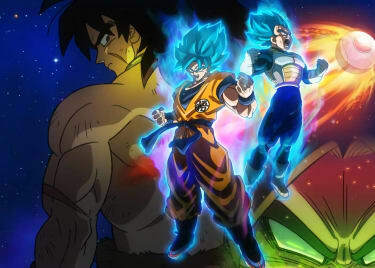 Thanks to Funimation Films, the anime smash hit that’s swept the world will make its U.S. big screen debut September 25–October 2 at AMC. MY HERO ACADEMIA: TWO HEROES opened in Japan earlier this month with strong box office numbers and glowing reviews. 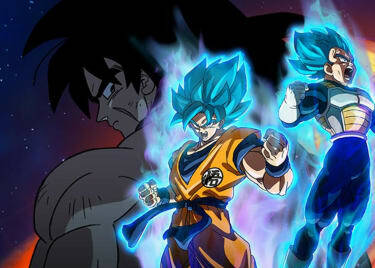 Now, U.S. fans will get to see anime’s hottest new heroes in the wild action/comedy. Deku and All Might receive an invitation to I-Expo, the world’s leading exhibition of Quirk abilities and hero item innovations. Amid the excitement, sponsors and pros from all over, Deku meets Melissa, a girl who is Quirkless just like he once was. Suddenly, I-Expo’s top-of-the-line security system gets hacked by villains, and a sinister plan is set in motion. It’s a serious threat to hero society, and one man holds the key to it all — the symbol of peace, All Might. 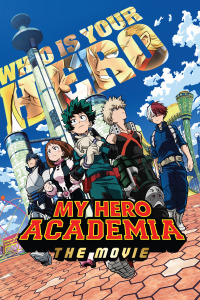 The events of TWO HEROES take place between season 2 and season 3 of the anime, as Deku and his classmates hone their powers at U.A. ; however, the film also offers a look at the bigger picture, outside of high school. Fans will get to see more of the Pro Hero world and, perhaps most exciting, All Might’s origin, which has never been seen before. No spoilers — we will only share that his story begins in his college days, living in an alternate Los Angeles. Though the film ties into the series, it’s a stand-alone story. 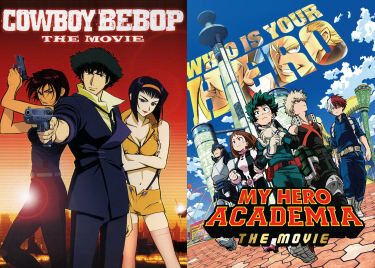 You don’t have to be familiar with the original manga or anime to follow and enjoy TWO HEROES, which will screen in both subtitled and dubbed formats. At its heart, MY HERO ACADEMIA is an uplifting tale about believing in and following your dreams, not matter what. Everyone is a hero to somebody else. Be a hero to your friends and plan a night out at AMC. Get your tickets for MY HERO ACADEMIA: TWO HEROES today.